When I was looking up the Wing Commander Orchestral Soundtrack Kickstarter a few weeks back, I stumbled across another Wing Commander Kickstarter that had entirely passed me by in the shape of The Wing Commander Riff Cast. The modest aim was to raise enough money to buy a new microphone and record a 3 man riff track, Mystery Science Theatre 3000 style, for Wing Commander – The Movie. They raised just enough money to succeed and went on like near enough every other Kickstarter to miss the target date for delivery by over a year before the riff cast came out January 2015. How you justify being over a year late for something that requires a few hours work I’m not quite so sure but no doubt they had their reasons. At any rate, it had been out over a year before I even found out it existed and I thought I should give it a go. The way this works is that you download an audio file and then play it along with the DVD of the movie. The DVD above is the one I won from the WC CIC birthday bash about 4-5 years back and I’ll confess that it was still unwatched and in its shrinkwrap prior to this. I was hoping it would be better quality than my previous Japanese DVD but this release didn’t get the best transfer either with the picture still not being anamorphic. It didn’t at least have Japanese subtitles hard-encoded into it which is always a plus point. The Blu-ray is no doubt the far better option but I’ve never found myself with enough spare cash to justify that particular purchase. The novel wasn’t bad but I’ve always disliked just about every aspect of the movie and it hasn’t improved any in the decade or so since I last watched it. The riff cast itself is available from Page Of Reviews. For anyone giving this a go, don’t expect anything too professional. It’s the same standard as your typical amateur podcast and largely off the cuff. To give the guys who put it together due credit, it did in my case it did make watching the movie considerably less painful. I laughed a good number of times and even learned a couple of things along the way. Improving my experience of watching the Wing Commander movie is a seriously low target of course so I’m not exactly going to recommend this experience as such. If you dislike the movie as much as I do yet feel the need to watch it again you could do worse but my advice would always be to steer clear altogether. I had thought about working my way through all of Chris Roberts movie making ventures for the blog but the idea of them all being like Wing Commander always put me off. I did see Outlander for the first time yesterday which was in truth fairly terrible but in a far, far more entertaining B movie way so I might revive that idea. How much Chris Roberts had to do with Outlander I have no idea mind you – there are 16 producers named on that one movie! 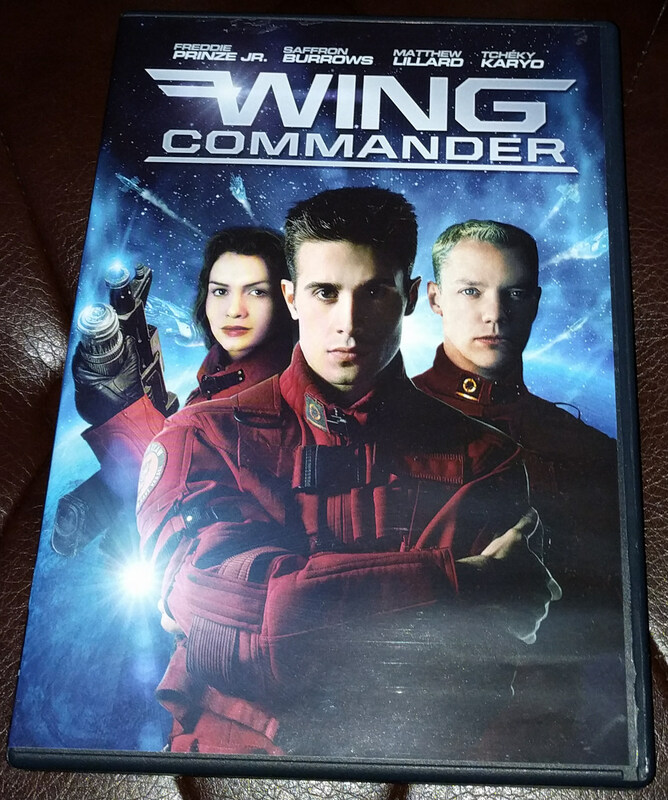 This entry was posted in Origin Related, Wing Commander - The Movie by Pix. Bookmark the permalink.